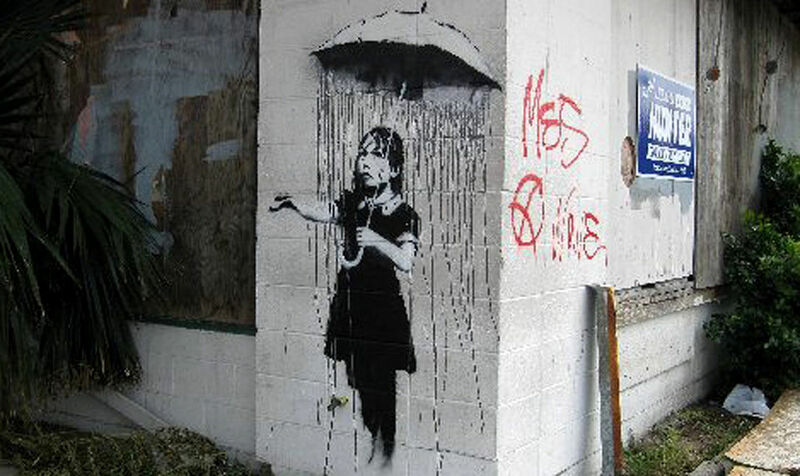 “New Orleans’ Girl” street art by Banksy. —she wouldn’t belong to us. Amber Weyland teaches high school English in Roanoke, Virginia. She is an MFA candidate in Writing at Lindenwood University, and she holds a Master’s in English from Radford University and a Bachelor’s in English from Virginia Tech. She is currently in the midst of moving to New Orleans, Louisiana where she plans to continue writing and teaching English. This entry was posted in Archives, Poetry and tagged spring2016 by Mary Akers. Bookmark the permalink. This is a wonderful Poem!! !